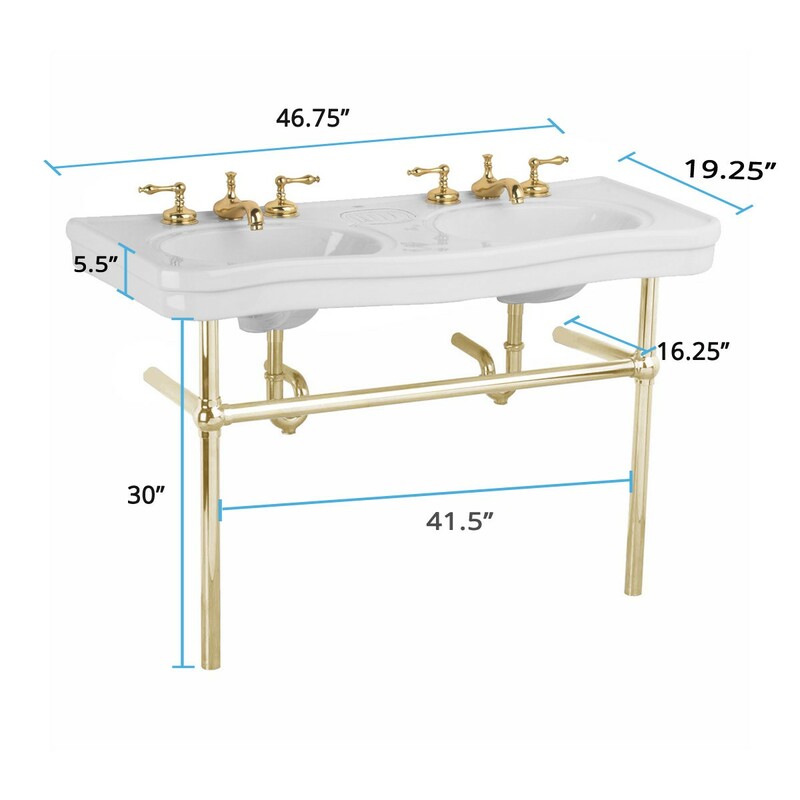 White Console Sink China Belle Epoque Double Deluxe Sink with Brass Bistro Legs : The Belle Epoque Double Deluxe console sink from Renovator's Supply is the perfect sink for any master bath—a double wide console sink for two! Our Belle Epoque Double Deluxe is constructed of grade A vitreous china, has four elegant tapered Brass Bistro legs, self-draining soap dishes and of course "his" & "her" basins. Takes two 8 in. 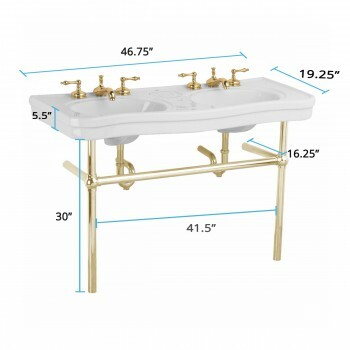 widespread faucet, not included. 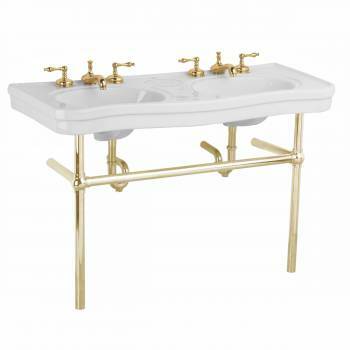 Includes Brass Bistro Legs.